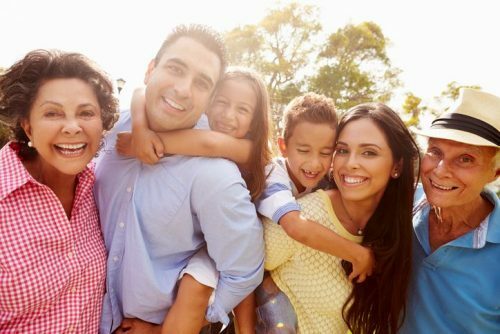 Recently Alcance Media has started to work with a U.S. Government program that assists eligible families with phone, text, and data and helps families in need stay connected. SafeLink’s Free Wireless Program provided by Tracphone Wireless in conjunction with the Lifeline government benefit program allows qualified users with an applicable mobile device to access these benefits. Through an easy online application (can be downloaded as well) you can find out quickly if you qualify for benefits. 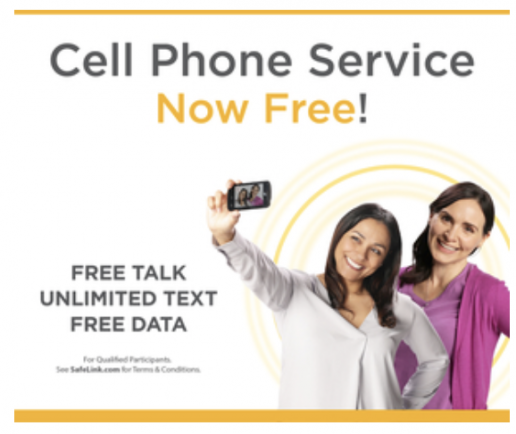 Cell phone service: Now Free! While the last United States Census was conducted in 2010 and the next is scheduled for 2020, there is the American Community Survey which is an ongoing survey that can work in conjunction with the Census data to see changes in the characteristics of the population of the United States. This is especially useful for multicultural marketers as immigration and movement patterns are continually changing and doing so at a rapid pace. US Hispanic are ahead of the curve when it comes to digital. They lead in adoption of new devices. They are power users of mobile and over-index in video consumption. But despite the facts, these consumers are vastly under-served, and the opportunities to reach them through digital remain largely untapped. But what, exactly, should marketers be doing? To see what’s working (and what’s not), our Vice President of Americas Marketing, Lisa Gevelber, looked at the strategies of leading brands and forward-thinking marketers. Here are the top lessons she learned. 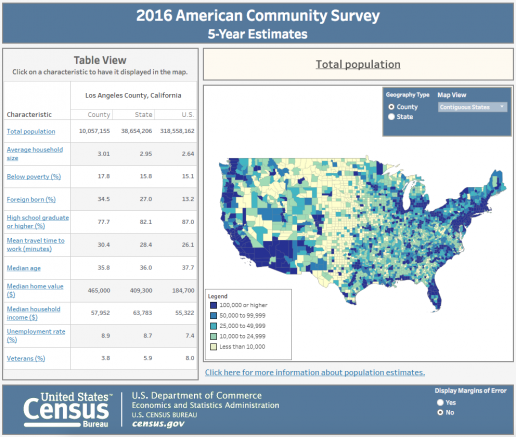 You’ve likely heard the numbers: a 163% increase in population between 2010 and 2050, making up 30% of the population by July 1, 2050. One trillion dollars in buying power in 2010, rising to $1.5 trillion next year (an increase of 50% in just five years). I’m talking about U.S. Hispanics, of course, a consumer segment that’s on the radar of every Fortune 500 CMO. At Google, we’ve taken notice of this audience too, but for a different reason: technology. U.S. Hispanics are ahead of the curve when it comes to digital. They lead in adoption of new devices. They are power users of mobile and over-index in video consumption. “Many marketers may think they trail the so-called general market in adoption of new tech, when in fact they are far ahead and should be among the first prospects for marketers seeking to grow their consumer base,” says Marla Skiko, senior vice president and director of digital innovation at SMG Multicultural. Despite the facts, U.S. Hispanics are a vastly underserved market, and the opportunities to reach them through digital remain largely untapped. It’s clear that brands need to go from taking notice to taking action and that digital is a huge opportunity. But what, exactly, should we be doing? To see what’s working (and what’s not), we looked at the strategies of leading brands and forward-thinking marketers. Here are the top lessons we learned. “The digital space is one of my favorite areas to market to this audience,” says Fabian Castro, senior vice president, multicultural marketing for Universal Pictures, which promotes close to 80% of its releases annually to the U.S. Hispanic audience. Online video is a big bet for Universal, and it’s clear why: The average Hispanic spends more than eight hours watching online video each month—over 90 minutes longer than the U.S. average, according to a Nielsen report. Universal has a dedicated Latino channel on YouTube where it distributes custom spots, featurettes, clips and content. The channel has been home to videos such as the “Spanglish” trailer for Fast Five, which has nearly 6 million views. Our data shows that across YouTube views of top U.S. Hispanic channels are up 1.25x year over year. Just look at the bilingual multi-channel network MiTú. In the two years since its launch, the network has grown a loyal audience of more than 36 million subscribers. That’s already one-third the number of subscribers to HBO, a network that’s been around for over 40 years. Brands are tapping into this growth through endorsements and sponsorships. Seventeen-year-old Becky G, a Mexican-American singer/dancer, has a huge following on YouTube among U.S. Hispanics. CoverGirl took notice and signed her to an endorsement deal. During the World Cup, Dish Networks tapped into this audience by promoting its Juego Bonito campaign heavily on YouTube. The video spot, created for Hispanic markets, was the first-ever Spanish-language ad to show on YouTube’s masthead in the U.S. In just two days, the ad garnered 100 million impressions. A lot of that video watching happens on mobile, as smartphones are becoming the “first screen.” A Nielsen report states that 10 million Hispanics watch mobile video for an average of more than six hours per month. Among smartphone owners, Hispanics are 17% more likely than non-Hispanics to access the web more through their phone than through a computer. They’re also more likely to upgrade or replace their mobile headsets and buy tablets. “Having the best in technology first is important social currency for this audience,” says Skiko. With this in mind, it’s hardly surprising that they’re heavy consumers of mobile apps too. According to a Google Consumer Survey conducted in July, Hispanics are 1.5x more likely to buy mobile apps and digital media than non-Hispanics. This means that everything you’ve been hearing about mobile applies even more to this audience—figure out your mobile-centric use cases, create mobile-first destinations, drive ROI and branding in mobile-specific ways, and integrate it prominently into multi-screen campaigns. Too often, marketers think they’re reaching U.S. Hispanics by simply translating ads and websites into Spanish. The truth is, this audience is diverse and often bilingual, an eye-opening insight for Jared Fix, U.S. vice president and general manager for Mixables at Beam Suntory. “I had always assumed that ‘Hispanic marketing’ meant Spanish, but a vast majority of our Hispanic target is what we call ‘acculturated’—they speak English, perhaps Spanish at home, and they consume media in both,” he says. Through digital, marketers don’t need to take a one-language-fits-all approach—and they shouldn’t, because there is a big opportunity to reach these consumers in both languages. For example, a recent Google Consumer Survey showed that the majority of U.S. Hispanic mobile users typically search in English or a mix of English and Spanish. At the same time, we’ve seen the number of Google searches that include common Spanish-language question words nearly double over the past three years (see below). Skiko suggests letting users pick which language they prefer. “It’s about ‘and’ not ‘or,'” she says. “Through digital, you can give people a choice, and that doesn’t happen enough.” Mattel is adopting this approach, creating bilingual versions of its campaigns. Last year, it launched a cross-brand Hispanic-targeted holiday campaign, ‘Toy Feliz, which included a bilingual website. Its Fisher-Price brand has a Spanish-language version of its Thought of That campaign called Pensamos en Todo. And this month, it kicked off a First Birthday program with an overlay for the Hispanic market called Mis Primeras Mañanitas, says Lisa Marie Bongiovanni, vice president of strategic marketing and communications at Mattel. Universal successfully combined cultural relevance with language preferences, targeting and online video in its campaign for Despicable Me 2. The marketing team developed brand-new ads specifically for the Hispanic audience—parts were in Spanish, but the movie dialogue stayed in English. The videos, which were posted to YouTube, delved deeper into the film’s Mexican villain, El Macho. It gave Universal the opportunity to create the family-friendly messaging “Superdad vs. Supervillain”—a theme that played nicely into family-centric Hispanic sensibilities. Knowing that music is a passion point for this audience, the team also licensed and integrated Pitbull’s bilingual hit song “Don’t Stop the Party” (featured in the film) into spots. Select videos were promoted with TrueView, which allowed the team to “efficiently target Hispanic audience members in the place where they are already consuming a great number of culturally relevant videos,” says Castro. This resulted in “an increase in important video views for our content”—nearly 3 million views and counting. The U.S. Hispanic audience will only gain cultural and economic prominence in the coming years. This isn’t just sheer numbers; it’s technology. Constantly connected consumers are influential ones—spreading ideas, culture and content—and this audience is very connected. This works both ways, of course. Brands can make great use of digital to connect with this audience. The key is to go where these consumers are, offering unique, choice-based and culturally relevant ways to engage.